Celebrate the exceptional people making a difference. 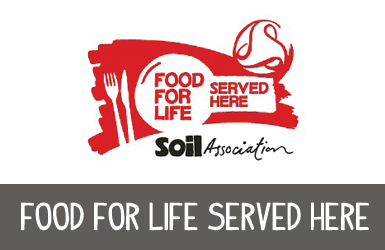 The 'Served Here Food Champions' category celebrate individuals who are leading the way in championing Served Here. 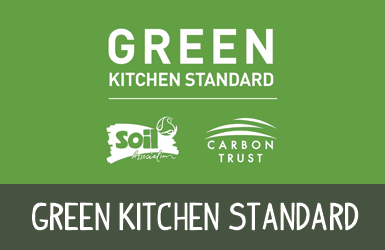 Finalists will be invited to the 'Food for Life Served Here and Green Kitchen Standard Awards' ceremony in London on 15th November 2019. Food champions will be judged by an independent judging panel and the lucky winners announced on the night. 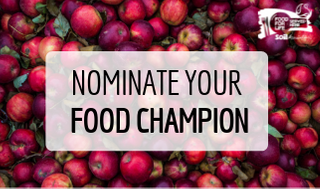 Nominate your Served Here Food Champion by submitting an online nomination form. You can include supporting material such as testimonials, menus, photos etc. Please only send relevant, concise and factual info. Ensure you have read the entry criteria thoroughly and answered within the 2500 character limit. Nominate yourself, a colleague or someone who has inspired you at a FFLSH accredited site. Been involved in making changes to meet the standards for example changes to ingredients, menus and the food served. Nominations are open until Friday 6th September and Champion Award finalists will all be notified by 27th September and we will be in touch with next steps.